← All I can say is – WOW! Physician and jazz musician Alan Storeygard is as dedicated to music as he is to medicine. By day, he’s busy seeing dozens of patients at Jacksonville Medical Care. The musical posters and reviews of his music on his office walls only hint at his commitment to a second career that has taken Storeygard around the world. Storeygard has performed for many audiences in his career, including a fundraiser for Bill and Hillary Clinton in 2015. 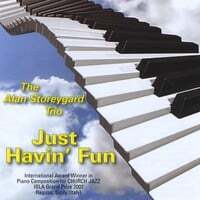 While Storeygard’s been influenced by Ramsey Lewis, Dave Brubeck, Oscar Peterson and Bill Evans, he has developed his own unique style of piano jazz. Storeygard has released five albums on his own record label, Church Jazz. He has been a member of the Recording Academy since 2003 and a voting member since 2010. 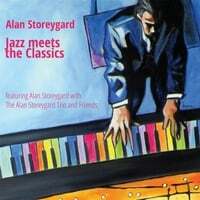 Storeygard’s newest release, “Jazz Meets the Classics,” is another musical gem. It reflects a lifetime of musical influence with his signature style. The album delivers a synthesis of symphonious classical/jazz arrangements to honor many great classical and romantic composers, along with contemporary jazz and classical artists. The new CD includes soulful renditions of music by Rachmaninoff, Beethoven, Bach, Chopin, Offenbach, Tchaikovsky and more. Jacksonville has long embraced him as a gifted musician and trusted physician. Dr. Storeygard has served his community for almost four decades as a family doctor, delivering over 1,000 babies, and working with up to five generations in one family. “As a family doctor, I have been invited to be a part of many people’s lives, sometimes as a musician in their personal symphonies, sometimes as a guest conductor to see them through difficult medical issues, and other times as a composer or arranger to help plan the best medical path, which may involve many other doctors along the way,” he says. Born and raised in Minneapolis, Minn., Storeygard’s earliest memories of music were conceived in church and by exposure to the sounds of classical greats such as Chopin and Rachmaninoff. He recalls, “We always had a piano in the house. My two brothers and I became inspired to play the piano as we grew up listening to our father play.” His father, a chemical and mechanical engineer, was also a violinist and choir singer in the family’s local Lutheran church. Throughout high school, Storeygard continued to pursue music but also developed a love for science. This led him to study towards an undergraduate degree in chemistry at the University of Minnesota in 1973. His calling to become a medical doctor evolved through working summers at a nursing home, where helping ill people became second nature and socially satisfying. Storeygard graduated from Mayo Medical School in Rochester, Minn., in 1977 and completed his family-practice residency program at Duke University in Durham, N.C., in 1980. He began playing jazz at parties and composed and arranged jazz for his annual medical school shows. A newfound love also surfaced when he met his wife Paula, who was studying law at Duke at the time he was completing his residency. The two have anchored themselves in rural Jacksonville for over 35 years, continuing their careers and raising two children. 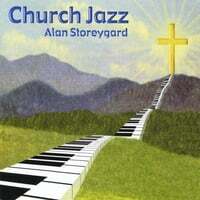 The inspiration for Storeygard’s first recording, “Church Jazz,” where he plays solo piano, was released in 2001. It emerged as his family became active members in church in 1996. He found an opportunity to create and play jazz arrangements of popular church songs for his congregation at the First United Methodist Church. His church jazz-fusion evoked standing ovations and requests for his music to be available on CD for his community. In 2002, “Church Jazz” was a winner in jazz piano composition at the 2002 IBLA Grand Prize International piano and voice competition in Ragusa, Sicily, which led to an invitation to perform his rendition of “Amazing Grace” at Carnegie Hall in 2003. The album was a semi-finalist in the 2004 Grammy Showcase Competition in Memphis. Inspiring the classical vision for Storeygard’s latest album, “Jazz Meets the Classics,” concert pianist Salvatore Moltisanti, creator and artistic director of the IBLA competition, has also played a key role in Storeygard’s musical career over the last two decades. 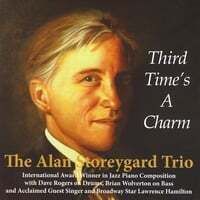 In 2011, Moltisanti invited the Alan Storeygard Trio to play his arrangement of “The Star Spangled Banner with Italian Ending” in Carnegie Hall for the finale of the New York IBLA awards concert. He also formed the Alan Storeygard Trio and Alan Storeygard Trio and Friends, with his brother, vocalist Bob Storeygard, drummer Dave Rogers and bass player Brian Wolverton. His second album, “Just Havin’ Fun,” was released in 2006 with Rogers on drums, Joe Vick on bass and vocalist Taylor Carlisle, who sings her rendition of “Fever” to Storeygard’s arrangement. He adapted his own interpretation of Ramsey Lewis’ jazz piano style to his arrangements on his third album entitled, “Third Time’s a Charm,” released in 2010. A lifetime of dedication to music, medicine and family brings Storeygard five years away from his possible retirement as a medical doctor, and yet he is highly motivated to continue to perform and share his music with the world.